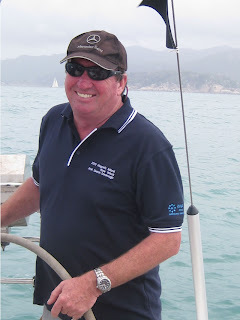 This blog contains the ramblings of Capt'n Willi Cinque. Since November 11th 2008, Capt'n Willi has been the skipper and owner of Dreamagic, a Bavaria 44 currently sailing somewhere in the Coral Sea off Queensland, Australia. Before Capt'n Willi embarked on this latest adventure he was the General Manager of a very small part of one of the worlds largest companies. Finally realising that there is more to life than meetings and outcomes, he now spends his time, sailing, writing, entertaining friends and enjoying pre retirement. Feel free to come and join him, even if it's vicariously.